In recognition of his exceptional career as a jurist and academic, Professor Daniel Jutras, Ad. 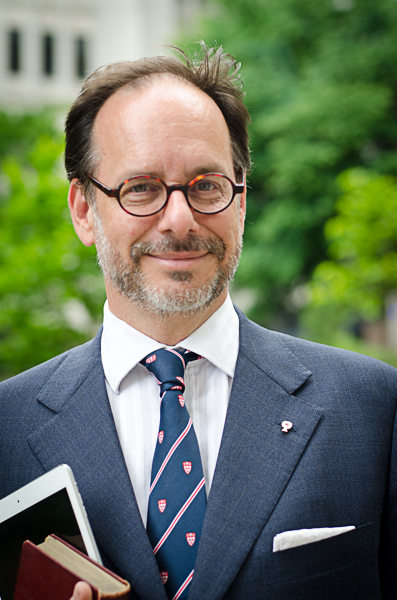 E., Wainwright Chair of Civil Law and Dean of the Faculty, will receive the Barreau du Québec 2016 Mérite award. By awarding him this distinction, the Barreau du Québec wishes also to recognize Professor Jutras’ work in advocating for justice and his dedication to the community. A world-renowned jurist, Daniel Jutras publishes regularly in prestigious academic journals and is currently engaged in an ambitious research project that will empirically explore questions related to access to justice and judicial activity. Professor Jutras has also contributed to improving the teaching and training of law students across Canada and deeply influenced generations of future jurists as a professor, as an Associate Dean Academic, and more recently, as Dean. In 2006, the Law Student Association presented him with the John W. Durnford Teaching Excellence Award. The 2016 Mérite awards will be bestowed officially at a ceremony that will take place during the Journée du Barreau taking place at the Palais des Congrès de Montréal on Thursday, June 2, 2016. His colleagues, students and staff at the Faculty all wish to offer him their heartiest congratulations: Bravo Daniel!